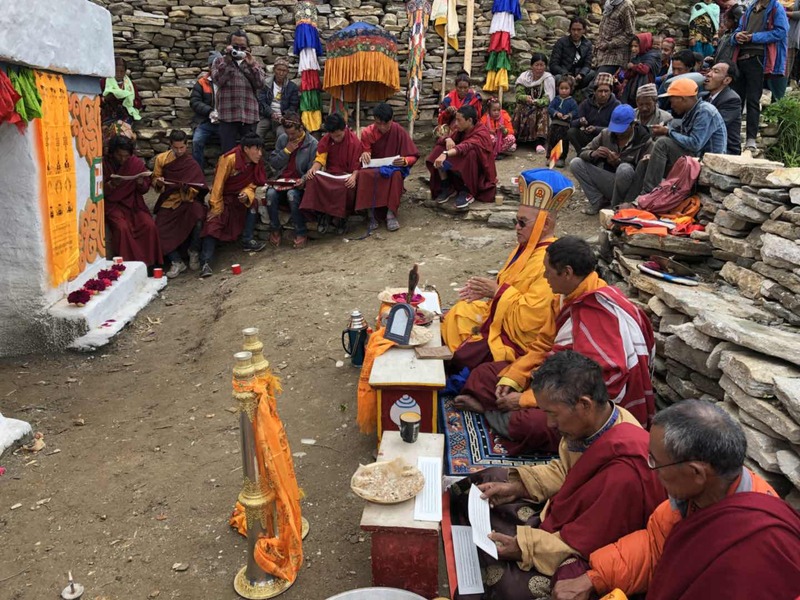 Murig Geshe Nyima Kunchap bestowing an empowerment of longevity at Barle Gompa 2018. Photo credit: Unknown. 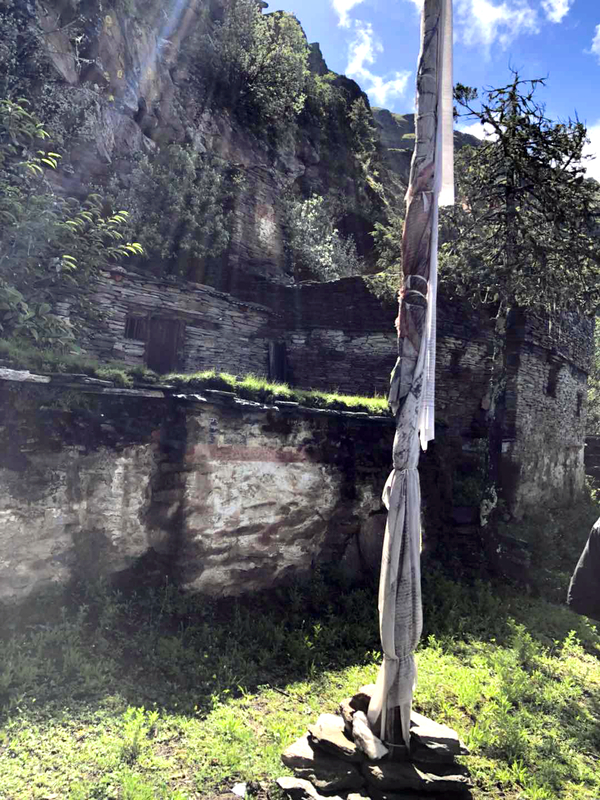 A twenty minute walk from the village of Barlé in Dolpo, Nepal is the Barlé gonpa called Yungdrung Shuk Tsal Ling. The main part of the temple located next to the lama residence is said to be over 500 years old. The surrounding area is very green in Summer and the village residents rely heavily upon agriculture. Although the village is a mix of both Bön and Buddhist families, they visit each other’s temples and sacred sites. The Barlé gonpa was renovated by the father of Barlé Lama Tsukphü Gyaltsen, who assisted in the work. Although most of the Barlé lamas have been ngakpas, or householder lamas, Barlé Lama Tsukphü Gyaltsen did not want to follow this lifestyle and instead received monk’s vows at the age of eighteen. He traveled to Samling and stayed there for three years. He received teachings and initiations from Yongdzin Tenzin Namdak Rinpoche as well as from Sangye Tenzin Rinpoche. Eventually, he returned to the village of Barlé and immediately began to look for a proper place for secluded meditation. A thirty minutes walk from the gonpa, up a steep cliff, he found the spot that he was looking for. The nearby rock formation naturally resembled a chorten and there was a stone painting of the enlightened Lord Tönpa Shenrap nearby. Here, he began to construct Drak Gön hermitage, literally “Stone Temple Hermitage.” The first part was completed in 1962. For thirty years, from 1970-2000, he remained in retreat at the hermitage. On the 27th lunar day of the 4th month in the Western year 2000, his outward breath stopped. His body remained in the five-fold meditation posture for three full days. Recently erected chorten overlooking Barle village. Photo credit: Geshe Nyima Kunchap. After the passing of Barlé Rinpoche, his nephew Lama Lhakpa assumed the duties of the main lama of Barlé. He was a householder and lived in the lama residence. He unexpectedly passed away in 2015 and his son took up the duties of being the village lama. Both a relative and student of Barlé Lama Tsukphü Gyaltsen Rinpoche, Murig Geshe Nyima Kunchap Rinpoche was born in the village of Barlé. 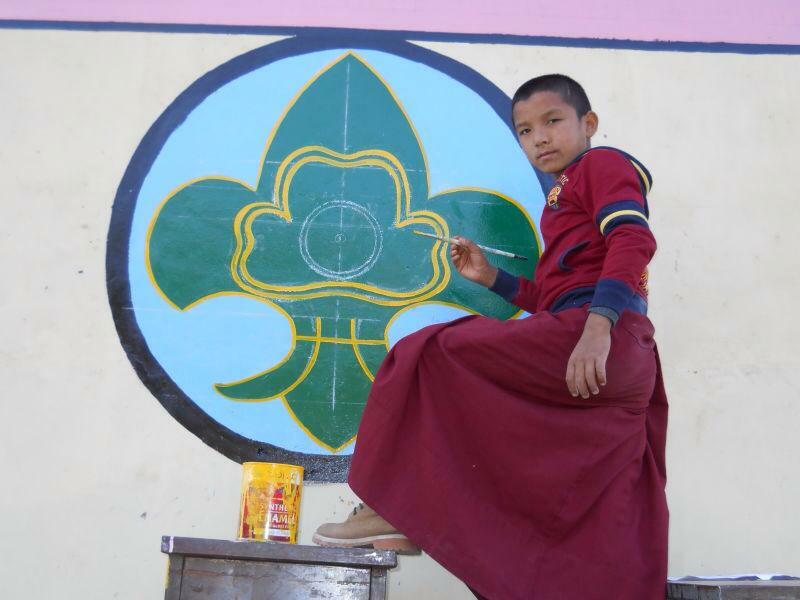 At the age of eight, he began learning the Tibetan language and thangkha painting. At the age of fourteen, he learned to make torma and practiced the ngondro, or foundational practices. Strongly wanting to become a monk, he left the village of Barlé and made his way to India where he received renunciate vows from HH 33rd Menri Trizen Rinpoche and HE Yongdzin Tenzin Namdak Rinpoche. Completing his studies in the dialectic program, he received his doctorate of Geshe in 1994. Subsequently, he worked as the Bön department chairmen at the Central Institute of Higher Tibetan Studies in Varanasi. He founded and acted as president of the Dolpo Bon Society and founded the Dolpo Bon School for girls and boys. Although he travels worldwide teaching and performing rituals of the Yungdrung Bön tradition, he regularly returns to the village of Barlé. Most recently, he personally sponsored the construction of a sacred chorten in the village. 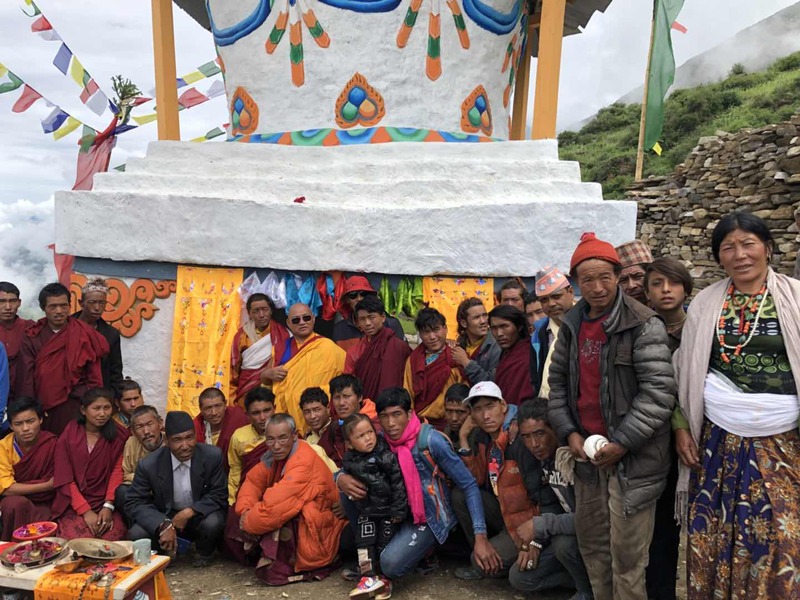 (See previous post: https://ravencypresswood.com/2018/07/21/a-chorten-for-barle-village/) In these ways, he continues to preserve and expand the rich Yungdrung Bön traditions of his lineage for the benefit of the Barlé residents, and beyond. 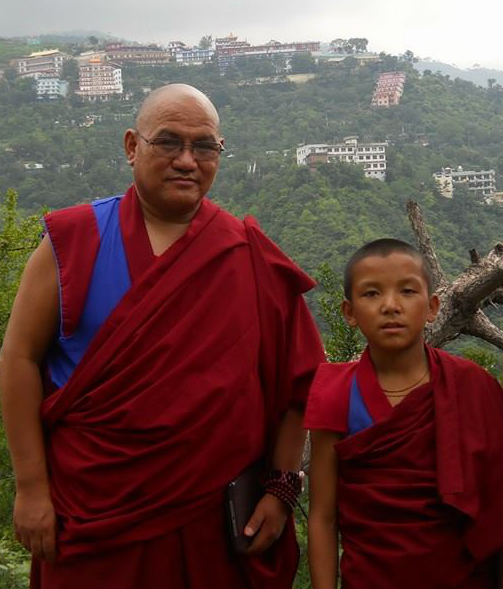 The tulku of Barlé Rinpoche was recognized at an early age in the village of Barlé. He naturally showed the signs of being familiar with the life of his previous incarnation, Barlé Lama Tsukphü Gyaltsen Rinpoche. 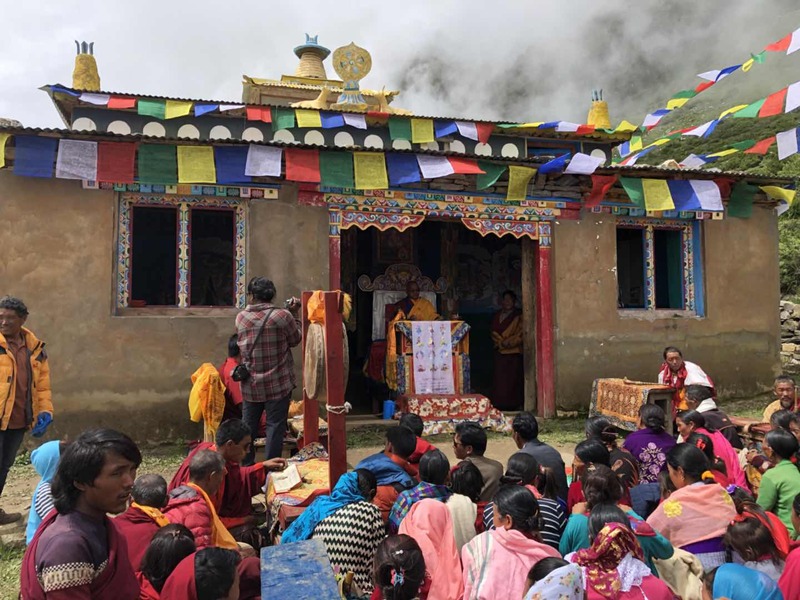 Although a difficult decision for his mother, she agreed to have him go to Menri Monastery in Dolanji, India in order to receive the proper training.Geshe Nyima Kunchap has taken personal responsibility to ensure his well being and education. Geshe Nyima Kunchap Rinpoche and Tulku Tsewang Rigdzin Gyaltsen. Photo credit: Unknown. 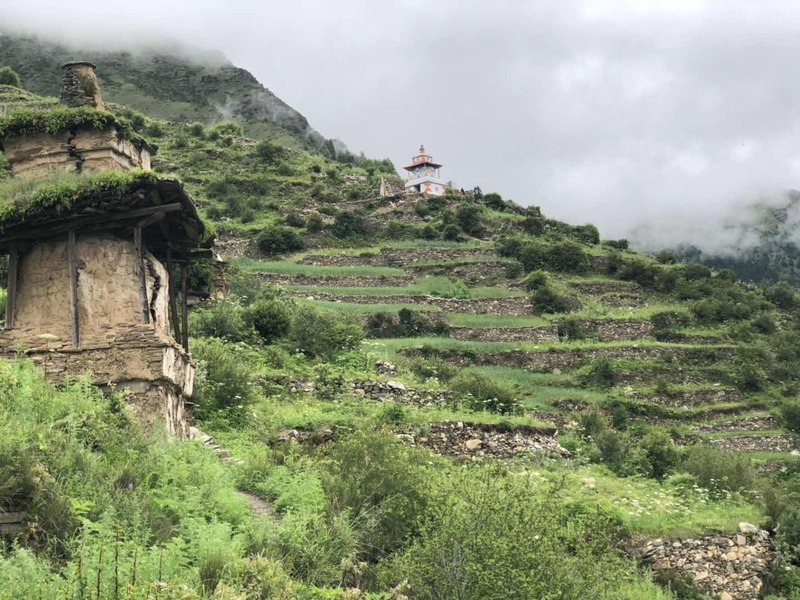 Posted on August 11, 2018, in Dolpo, Nepal, Preservation, Tibetan Lamas, Uncategorized, Yungdrung Bon Monasteries. Bookmark the permalink. Leave a comment.